Sky Sports has revealed further details about its new horse racing channel, launching on 1st January 2019. 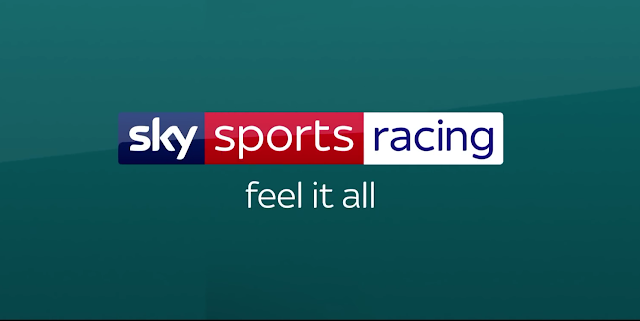 Sky Sports Racing HD takes over from At The Races to become the latest Sky Sports channel devoted to a single sport. As final preparations for the launch continue, executives at Sky unveiled the new team on Wednesday, which includes Alex Hammond (Sky Sports News, Sporting Life) joining the channel as lead presenter and Group 1-winning jockey Freddy Tylicki, who will appear on a regular basis as a guest analyst. Josh Apiafi, former head of the Professional Jockeys Association is also joining the channel as is Jamie Lynch, who becomes Sky Sports Racing’s Senior Racing Analyst. Familiar faces from At The Races will transfer across to the new channel. The channel will cover meetings from Ascot, Chester and Bangor-on-Dee Racecourses along with cover of over 200 French Fixtures; the Breeders’ Cup, Kentucky Derby and US Triple Crown; the Melbourne Cup Carnival; and all 88 fixtures from the Hong Kong Jockey Club, exclusive to Sky Sports. How will Sky Sports Racing be available? Sky Sports Racing will broadcast in full HD to approximately 14 million homes and will be available to all basic satellite and cable subscription packages, with no specific Sky Sports subscription required, according to the company. "We believe Sky Sports Racing will be a game changer for the sport with a significant investment in production raising the bar for daily coverage of horseracing. Importantly, broad distribution and cross promotion across Sky Sports’ broadcast and digital platforms will deliver significant exposure and audience for those domestic and international fixtures we will be covering. We’re looking forward to getting started and showing race fans in the coming months some of the new programming and innovations that will complement our daily racing coverage." January 2019 also sees changes at rival Racing UK, which will rebrand its service on Sky, Virgin and streamed channel on Freeview to Racing TV, following its acquisition of Irish horse racing rights. Free-to-air horse racing on British television remains on ITV and ITV4.